"HNIA's stunning new offering is a rock opera depicting an epic struggle between identical twins, reflective in nature, and mirrored in twin science, secret language, and mythology. 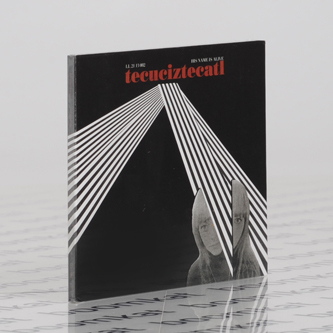 Described variously by the press as "absolutely beautiful" (CMJ), "a silver thread out of the labyrinth" (NME), and "haunted, wholly out of time or context" (Plan B), His Name Is Alive continues to mystify with Tecuciztecatl. Beginning in Livonia, MI as an experimental bedroom dream pop project, HNIA has released a steady stream of music since their first self-released cassettes in the late-'80's. One of label founder Ivo-Watts Russell's Top 5 groups of all-time, HNIA would go on to release 7 albums on the 4AD label over a period of 13 years. Out of step with the Alterna-Grunge zeitgeist of the '90's, with the current ascension of horror soundtracks and other non-"rock" forms into both pop and underground music, HNIA's time may have finally come."